When Kendrick Lamar confirmed that DAMN can be played in reverse, I immediately threw “Blood” into Audacity and reversed the soundwave. What came out of my wireless headphones made no sense. Then I realized Lamar meant “reverse order” not backwards. In early December of 2017, Lamar released a collector’s edition of his seminal opus, and hopefully soon-to-be winner of the Grammy award for Album of the Year, DAMN. 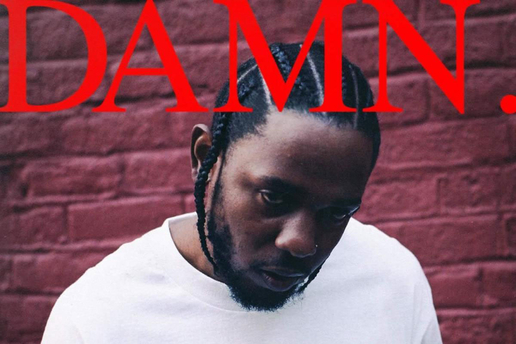 The edition contains all the songs from DAMN, with no new production, in an order opposite of the original. It may sound like a distinction without a difference, but before it dropped in mid-April, conspiracies swirled that Lamar/DAMN had more to offer. DAMN was introduced to the world on Good Friday. One theory said Lamar will release another great album on Easter Sunday. A second conspiracy, this one piggybacking on a tweet by TDE producer Soundwav—“But what if I told you... that's not the official version…”—claimed more new material was forthcoming. A tinfoil-hat-wearing fan theorized that Lamar’s next album would be titled "NATION." This appellation was inspired by acrostics made from some of the last letters of DAMN’s tracks. Many “KenFolk” immediately recognized that the last line of DAMN’s finale, “Duckworth,” is the first line of DAMN’s opener, “Blood.” Some concluded that those songs were connected, and the tracks in between, are Lamar struggling with a slew of contradictory ideas. Releasing his masterpiece with a reverse track order may seem a bit underwhelming, but it does satisfy those who believed there was always more to DAMN than originally assumed. Our cynical side says the collector’s edition is nothing more than a money grab. After all, the power to listen to DAMN in reverse order is inside of all us. Well, inside our media players. There’s reason to applaud Lamar’s efforts. By releasing his album with a different track order, he forces listeners to accept DAMN as a single work of art and not a collection of interchangeable singles. There was a time when listening to an album out of its original order meant putting on side B before side A.
Nowadays, it’s a piece of cake to listen to albums out of order. It’s just as easy to listen to them randomly, as part of a playlist with a bazillion other songs, or piecemeal—just download the songs you like.